Profit seeking is the ultimate aim of corporate management and the finance manager acts as the anchor point of the management structure. 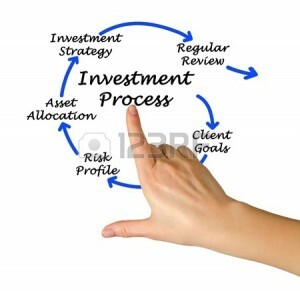 He has to provide specific inputs into the decision-making process, with respect to profitability. What are the Cost Centres? It is the finance manager’s responsibility to have an eagle’s eye on rising costs by continuously monitoring the cost centers of his organization. Production department where there is always a need for additional resources or inflow of funds, should be his first target of contol. Costs are incurred by each and every department of an organization,namely,the production,marketing,personnel and of course finance and accounting. It is a difficult task to control the rising costs. That is the reason why, big corporate companies go for annual budget formulation at the start of the year and reformulates the finance plan by comparing actual with the projected figures. This kind of evaluation helps the firm to fix responsibilities for various centers of operation. It is always a joint venture between marketing and finance departments when it comes to price fixation of products, product lines and services. Pricing decisions are important in that, they affect market demand and the company’s competitive stand in the market. Pricing strategies have to be evolved in the wake of existing competitor strategies and market preference. The demand forecast is the prerequisite factor of the production process and in-depth market analysis and understanding is inevitable on the part of the executives. The finance manager is also responsible for charting out the future levels of profit, based on the relevant data available. He has to consider the current costs, likely increase in costs and likely changes in the ability of the firm to sell its products at the established selling prices. So, it becomes clear that, such market evaluation cannot be periodical, as the market is highly dynamic and has to be done in a day-to-day basis. Before a firm commences a project, its discounted future fund flow and expected profits must be ascertained which will serve as a basis for comparison. Investment decisions always are risky as the gestation period of invested funds is very long and not to return immediately. Further, the firm has to calculate the time period in which its initial investment can be recovered and the feasibility of the rate of return on its investment. The finance manager is engaged in activities like, mobilization of funds, deployment of funds, and control over the use of funds and also he is to evaluate the risk return trade-off. Profit maximization is the fundamental objective of any organization and the finance manager plays a key role in restructuring the financial philosophy of a firm to take it to greater heights.